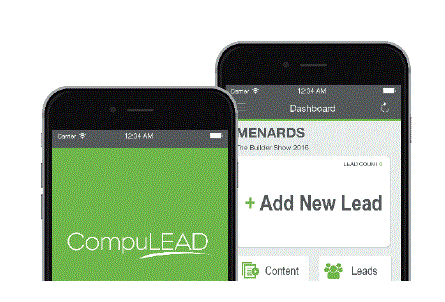 Make sure you can measure your ROI by easily collecting, tracking and accessing the contact information of the leads you meet at WWIN by purchasing a Lead Retrieval unit. NEW this year – Go digital and save! It’s easy to use by quickly scanning the badge of the prospects you meet with IN REAL TIME! It’s efficient and digital - no longer bringing back business cards and waiting until they are entered into your CRM - and best of all you can capture your notes on the customer meeting. WWIN will assist you in post-show follow-up to ensure your leads receive a message from your company, keeping your brand top of mind after the event. ​Did you know – 80% of tradeshow leads are not followed-up on after an event? By purchasing lead retrieval we make it even easier for your company to provide timely follow-up. Our official partner CompuSystems, offers a variety of options that fit every company size, budget and digital customization request. Order early and save – if you order by our early bird deadline - June 13, 2019 - you receive the best rates!